A bit late in posting this here and slack at updating this site, but better late than never! We’re now training in the dance studio of the Boxing Club in Penparcau, 7.30-9.30 every Thursday. It’s a nice space, it even has mirrors, if you can bear to look! Sessions are still just £2 to pay for the hall. Meanwhile, a few of us attended the first ever Capoeira Cymru meeting last weekend, of groups across Wales practicing Capoeira. Ile de Capoeira from Swansea and a group of mini Capoeiristas from Wrexham joined us for a short workshop and a street roda/ demonstration in Aberaeron as part of the Ceredigion Art Trail. It was a feel-good day and great to meet friends old and new. Come and join us, we’re still here! Despite the lack of activity on here, we’re still training once a week, Thursday 7-9pm at the Scout Hall. 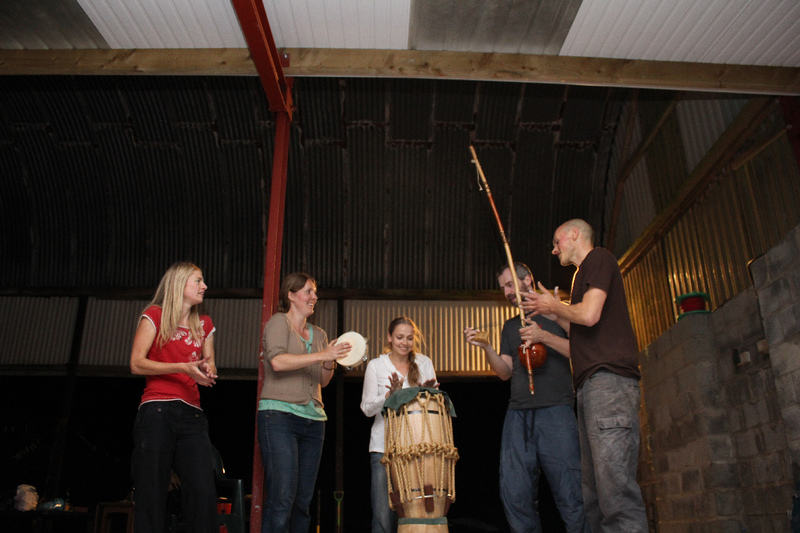 Sessions are informal and fun, beginners and new-comers always welcome. We are changing the sessions a little bit from now on to see how it works out. Mondays will now be an open trianing session, same time, same place, just not exclusively Capoeira. 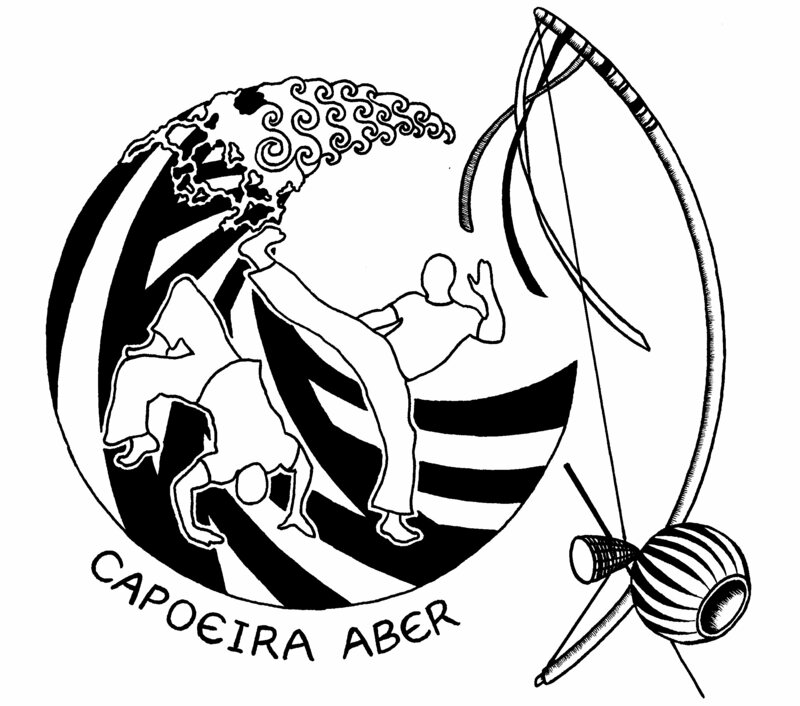 Thursdays are moving to the later time of 7-9pm, just Capoeira with a rotating session leader. Everyone welcome as always to either and both sessions. Still just £2 a go. Venue maps can be found on the training times page. Make it a fun and fit one and join us, same times and places as always for the time being. Bring a friend! There won’t be a session this Monday coming (13th December), but we’ll make up for it with an extra special session, the last of the term on Thursday 16th. Make the best new year’s resolution ever – vow to come and have capoeira fun every week – get fit, flexible, make some noise, dance about…see you in January (training starts back Thursday 7th). Try out this fun martial art/dance/game – come along to our informal training sessions, Mondays or Thursdays (see the training times page for venue maps and times). Beginners always welcome, returning students, there’s a hug waiting for you! Still just £2 a session to cover hall fees. That’s right, so its Monday 6pm – 7:30pm, and Thursdays 6:30pm – 8:30pm.